As the barrage of off-season moves finally slow down, PostMedia's Kristen Odland stopped by for some hockey talk. Among the topics discussed, we looked back at what's unfolded so far, looked forward to training camp and we also contemplated what could go wrong. Portable bluetooth speakers were meant for summer hockey podcasts. Grab yourself a cold drink, roll up the patio umbrella, sit back and enjoy! Appears to be three open jobs at forward. Who gets them? 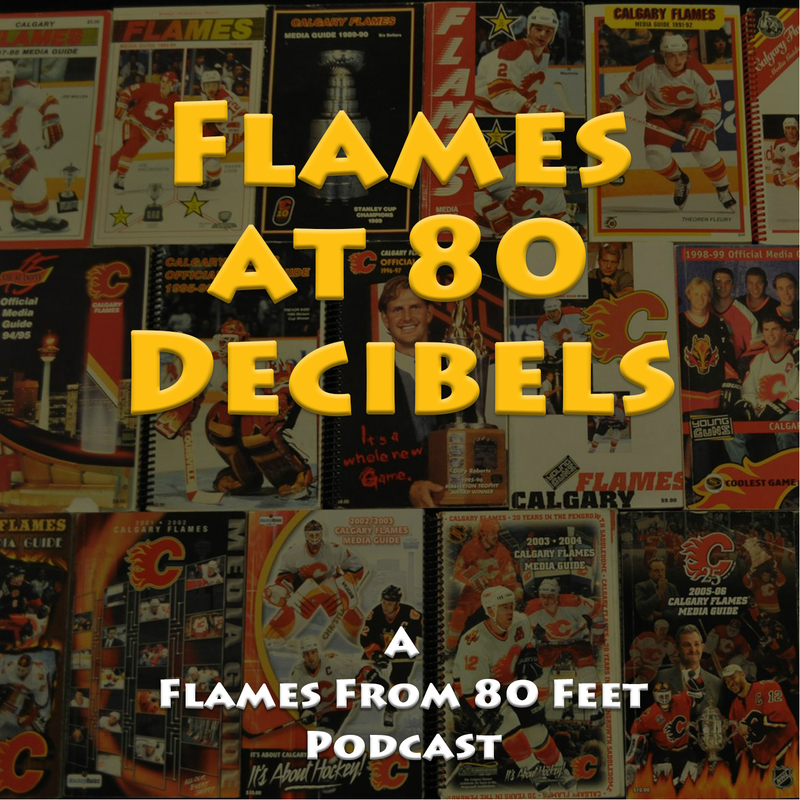 46:44 - Segment 4 - Are the 2017-18 Flames a "contender"? If Calgary is a contender, why? If the Flames aren't a true contender yet, what needs to happen? 54:09 - Segment 5 - What could go wrong? Answering some of the questions submitted via Facebook. One popular question I get from newbies in the podcast world is when do people listen to podcasts? Well, if you have BlueTooth in your car as I do, I'll stream them from my phone onto my car stereo and listen as a I run around town doing errands, etc. If you're travelling, download it to your iPod and listen on the flight. Or take it with you while you go and walk the dogs. I have heard from people who listen to them at work -- a great way to pass the time! There are endless possibilities. Have you enjoyed the podcasts so far? I would be grateful if you take a couple minutes and stop by iTunes and rate the podcast. From what I've learned, the more reviews, the easier it becomes to find for hockey fans browsing for something to listen to. So far, there's been 11 reviews. I'd love to see that number doubled. If you have any other comments or questions, let me know directly, I'd love to get an email from you. By the way, have you liked Flames From 80 Feet on Facebook yet? Do so now! It's another way to be alerted to new stories I've written, other articles from my colleagues that I've enjoyed and I'll occasionally use that space to weigh in on the news of the day. As an indication of the type of talent the Flames have added to the organization over the last 14 months, six Calgary prospects will be in action this weekend at the World Junior Summer Showcase in Plymouth, Michigan. From the 2016 draft class, Dillon Dube, Adam Fox, Linus Lindstrom, Eetu Tuulola and Matthew Phillips will all be in attendance. Joining them will be 2017 pick Juuso Valimaki. Less than a month removed from when all of them were at WinSport participating in Calgary's summer development camp, they are back on the ice. Only this time, expect the level of intensity to be ratcheted up a notch. All six will be looking to make an impactful first impression as they begin their bid to play for their country at the 2018 IIHF World Junior Championships, which this year will be played in Buffalo. Every year over the Christmas holidays, the WJC captures the attention of hockey fans of all ages as the best 19-and-under players in the world -- other than the handful in the NHL -- go head to head in a high-intensity event that's created no shortage of drama over the years. Well, the path to putting on their country's sweater in December begins this weekend. The venue for the dozen exhibition games to be played between July 29 and August 5 is the USA Hockey Arena in Plymouth, Michigan. It's a rink that holds just under 4,000 fans and has become the home facility for the USA's national team programs. Participating countries are the United States, Canada, Sweden and Finland. What's impressive about the Calgary contingent is of the 55 players in attendance that were top-50 draft picks, the only Flames player with that label is Valimaki. Not to be forgotten, 2016 first rounder Matthew Tkachuk stepped right into the NHL. It suggests that general manager Brad Treliving and his scouting staff have done a commendable job identifying talent in the later rounds of the draft. You never know, perhaps a few years down the road, there could end up being some late round steals. One of those possibilities is Lindstrom, who Calgary selected in the fourth round in 2016. The added intrigue this week with the Swedish centre is he was the one guy, who for precautionary reasons, did not participate in the scrimmage portion of development camp. At the time, he was still working his way back from arthroscopic surgery on his left knee, a procedure he underwent after the season to clean up a few things that were causing him some grief. Treliving confirmed today that Lindstrom's knee is feeling better and he's going to give it a go. 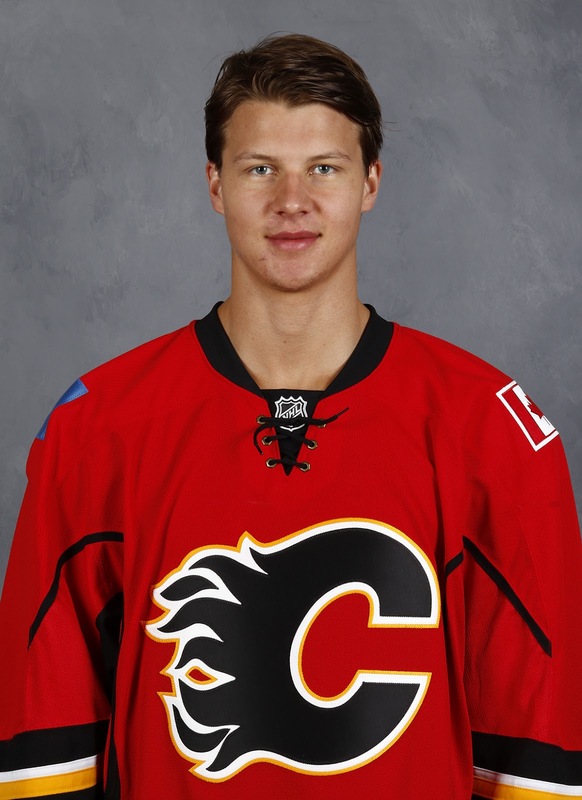 As is frequently the case with European prospects, Lindstrom is a guy very much off the radar for most Flames fans. For one, he was one of a whopping nine players drafted by Calgary last year. That's a lot of names to track and when you're chosen after high-profile guys like Tkachuk, Tyler Parsons, Dube and Fox, it's easy to get lost in the mix. Additionally, we never see Lindstrom in action as he plays in Sweden. However, should he make Team Sweden -- and he's played plenty of international hockey in the past having played both U18 and U17 for his country -- seeing Lindstrom suit up against the Russians on New Year's Eve would thrust him into the forefront for a change and would finally give fans an opportunity to see him in action. For Lindstrom, it was one of those scenarios where after training with his team in the off-season, he went through training camp and was still with the big club when the season began. As the season went on, he kept waiting for that call to come and be demoted to the junior team, but it never came. I had a chance to chat with Lindstrom earlier this month at WinSport during development camp. "I went to practice with the pro team in the summer and I got to start there, then it kept going and I stayed there the whole season," said Lindstrom with a wry smile. While his offensive totals don't leap off the page -- two goals and six points in 50 games -- playing in the men's league at age 18 was a great learning experience and one he will be able to build on moving forward. "Guys are much better, closer to NHL, bigger guys, older guys, stronger, so you have to play fast," said Lindstrom. While he mostly used in a depth role, that wasn't always the case. "Sometimes I played second line, some games I played some power play. It went pretty good." It will be a while yet before we see Lindstrom come over to North America to play. For one, he still has two years remaining on his contract with Skelleftea. Secondly, he knows he's not ready yet. "I want to have a good season in Sweden before coming over here," he said. As for what he has to work on, as you might guess with a guy listed at 6-foot-0 but just 170 pounds, strength is one of the areas. He says speed is another. "My skating is the biggest," he says. "But also getting faster, bigger and stronger. I need to gain some weight. I haven't been able to train so hard this summer (because of the injury) but now I'm starting to lift more weights so it's starting to get much better." Another undersized guy in Michigan for the week who Flames fans are really excited about is Phillips. You know the 50-goal scorer in the WHL last year is excited to get the opportunity given he's never played for Canada in an international event. 'Bubba' as he's known around the rink, is one of 26 forwards invited by Team Canada. Like the Americans, Canada will dress two separate teams for the first two games of the tournament. In perusing that long list of forwards for the red and white, two things jump off the page with Phillips. First of all, predictably, is his size. Listed at 5-foot-6 by Hockey Canada, that would make him a full three inches shorter than the next shortest forward (Mason Shaw). Eighteen of the forwards are listed as 6-foot-0 or taller with 11 of them standing at least 6-foot-2. Then there is his draft position. Among the sea of first rounders (11) and second rounders (9) up front for Canada, the only player taken outside of the fourth round is Phillips, who Calgary took in round six in 2016, 166th overall. Phillips and Dube, local guys that train together in the off-season in Calgary, will both be in Michigan with Dube a returning member from Canada's 2017 team that lost to Team USA in the gold medal game. "We skate with each other in the summer and work out so it's great to see him all the time," Dube said. One of the top scorers for Kelowna (WHL), he took on a checking role last year with Canada and thrived in it. He also loved it. "I was fourth line and everybody questions how it was and it was the most fun I've ever had playing hockey," said Dube. "It's almost more enjoyable because I don't have as much pressure and I just get to go out there and play and enjoy it." He also saw it as a way to silence skeptics and demonstrate that he's not just one dimensional. "I know lots of people question guys like us that kind of have our way a little bit in junior hockey. It's nice to show that I can (play defensively). Definitely playing that role this year, I won't be afraid to do it." As for the other three, they all boast plenty of international experience. Tuulola did not play internationally for Finland last year but in the three seasons prior to that, he played U16, U17 and U18. Continuing to get chances to play for his country is proof that his development is coming along just fine. It's an all-in-the-family situation for Eetu as his dad Marko played pro hockey for many years in Finland including some games for his country. Interestingly, when Marko retired just four years ago, he had spent his final three seasons as captain of HPK, the same team Eetu will play for this season. Speaking of leadership, Valimaki was the captain of Finland's U16 team in 2013-14. Two years later, he wore the 'C' for the U18 team. Now, another two years later, it makes you wonder if he might end up wearing a letter on the U20 team. Fox has also worn his country's colours often in his young career. Over the last three seasons, he's pulled on that Team USA red, white and blue sweater for the U17, U18 and U20 teams. Expect Fox to be a big part of this year's squad on the back end as the Americans try to defend their gold medal and get to do so on home turf. Here are the full rosters as well as the lowdown on the six-pack of Calgary kids. Height and weight, which may vary from what is listed on the team rosters below, are as listed by the Flames on their 2017 development camp guide. They've been known to be a bit generous, although these are also growing boys so those specs are subject to change. If you're looking to get your hockey fix, the games later in the week will be available on TSN in Canada. With the plethora of high-end draft picks in attendance as well as young 17-year-old stars like Swedish defenceman Rasmus Dahlin, who is expected to be one of the top picks in 2018, it should make for some pretty good hockey. Note that all times listed are in M.T. As the off-season continues, time to knock the dust off a content feature I haven't trotted out recently. It's a July edition of Eight From 80 Feet. The premise is simple. It's eight random thoughts on the latest goings-on with the Calgary Flames and there's been plenty of fodder to work with given the rash of recent signings. The signing on Friday of 2017 first round pick Juuso Valimaki to an NHL contract is something that deserves a little extra explanation. Based on him being an older player in terms of the draft with a 1998 year of birth, and with him signing his entry level contract when he did, his contract has the ability to slide twice rather than just once, which is typically the case. If you're not familiar with the concept of the slide, the standard ELC for most players does not kick in until their second season after being drafted. If they go back to junior after signing, that year does not count and year one of the deal will begin the next season. But with Valimaki, it potentially wouldn't begin until his third season and that's not an insignificant detail. Rest assured that Valimaki will be playing in the WHL this season. At his age, it's either back to junior or staying in Calgary. 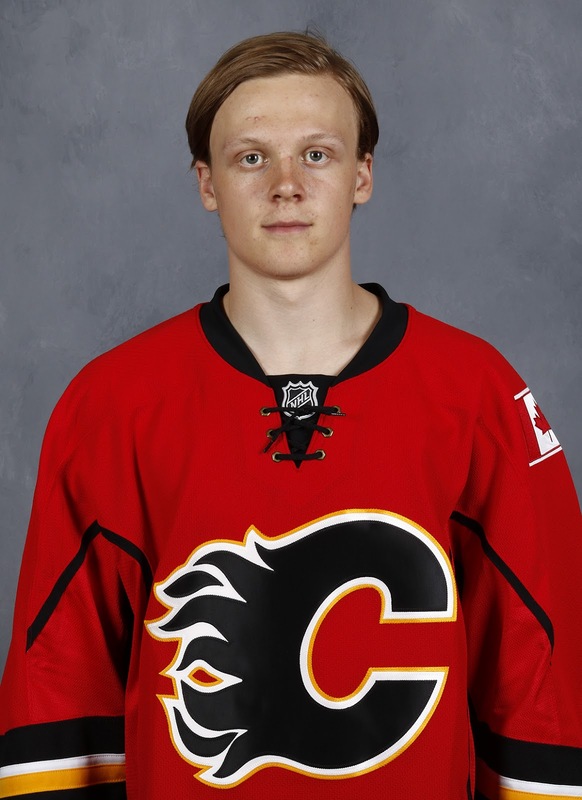 Based on the state of the Flames blueline and where the 6-foot-2 Finn is at development-wise, it would make zero sense for him to stay in the NHL this year. Next season, he will be age-eligible to play in the AHL and there is a good chance that's where he ends up. Could he jump straight to the NHL instead? Anything is possible but with more seasoned prospects like Rasmus Andersson and Oliver Kylington also in the pipeline and with the Flames top-five on the blue-line all under contract still, there are only so many jobs. The prudent approach would be to let him adjust to the pro game in the AHL for a season where he can play a ton and in all situations, while adjusting to the next level of competition. Assuming it isn't until 2019-20 that he reaches that 10-game NHL games played threshold that kicks in his contract, that's ideal timing for the organization because of how it aligns with the contract for Mark Giordano. In this scenario, what ends up being the first three seasons for the left-shooting Finn at $925,000 (if in the NHL) would coincide perfectly with the last three seasons of left-shooting Giordano's deal that pays him $6.75 million. It's the ideal overlap with Valimaki' not getting into a much bigger AAV until after Giordano comes off the Flames books. So that's how the white board looks. It's projecting a long way out and much can change, but no doubt these are the types of things that the GM is very well aware of and thinking about. 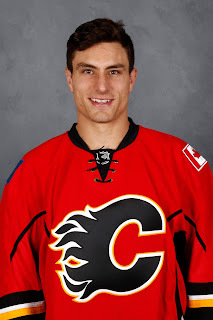 The recent barrage of RFA signings included rugged right winger Garnet Hathaway and it was a deal that on social media was met by mixed reviews from some corners of the Flames fan base. Far from an analytics darling and I get that, it was still surprising to see the amount of venom in the backlash, one person describing it as a waste of a contract. Signed to the NHL minimum of $650,000 and on a two-way deal so he's only making that if on the NHL roster, it's hard to find a lot of faults with the deal, which is also only for one year. This is a guy, who wears a letter in the American Hockey League, who plays in the top-six at that level, seeing a lot of time on Mark Jankowski's wing last season. A favourite of Stockton coach Ryan Huska and a guy who Glen Gulutzan has also spoken highly of, he's clearly an example of a guy that is an ingredient teams like to have but for reasons that don't necessarily translate to statistics. That said, any assertion that he doesn't contribute to winning is one I would take issue with. Is he integral in winning? Not at the NHL level where he only averaged 9:08 in ice time in his 26 games. No, he's not a core piece. But there are attributes in his game that makes up for some of his shot creation shortcomings. For one, he goes out there and pisses off the other team. Repeatedly. He'll hit anybody -- first liner, fourth liner -- and he doesn't care. Hockey is game of emotion and he has the ability to fire up his own team while also getting the opposition off their game. Those are outcomes that can contribute to winning. Further, there is a metric that computes how often a player puts his own team on the power play and that's minor penalties drawn per 60. This looks at how many minor penalties a player draws in total, while also factoring in how much he plays. No. 1 on the list league-wide last year is a name that won't surprise you -- Matthew Tkachuk. Tkachuk drew 47 penalties and while that was second to Connor McDavid's 51, factor in each player's ice time and Tkachuk was the king at an average 2.53 penalties drawn per 60 minutes of ice time (McDavid was at 1.77). There was one other player in the league tied at No. 1 with that same 2.53 number. You guessed it, it's Hathaway. Calgary's power play was 10th best last year and over the final three-quarters of the season, was top-five. Sure, maybe his line got outshot while he was on the ice, but if you're often leaving the ice with your team going onto the man advantage, that's going to lead to power play goals and that's another way how a player like Hathaway does contribute to helping his team win. 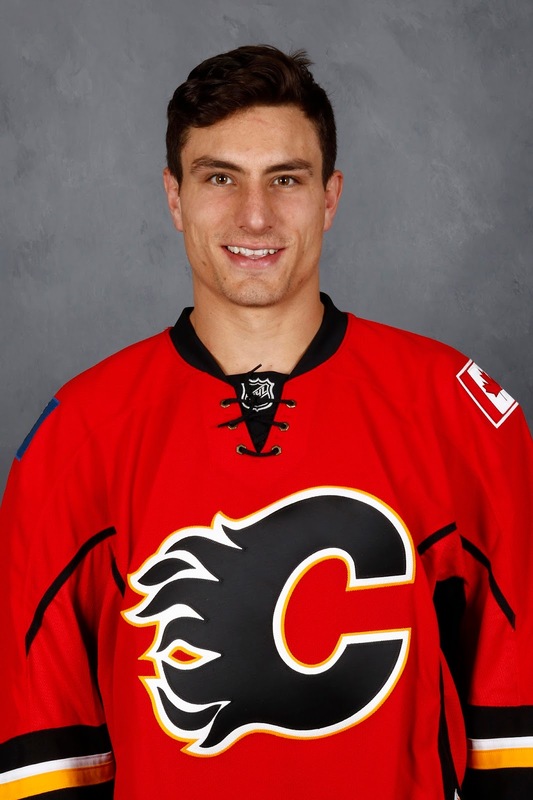 Add in the physicality he brings that has been lost this off-season with the departure of Deryk Engelland in particular and Lance Bouma as well, and Calgary's skilled players will appreciate having a guy like Hathaway in the line-up. While eight points (1 goal, 7 assists) in 40 NHL games isn't great production, there might be a little more there skill-wise too. In his last two AHL seasons combined, he's got 16 goals and 41 points in 75 games. In his rookie season in 2014-15, he notched 19 goals and 36 points in 72 games. It's not a contract that hurts you. He does have elements in his game that will help you and he's making the NHL minimum on a one-year deal. To hate the signing seems like a bit of a stretch. The silly talk of the week is the paranoia that has started to swirl after remarks Johnny Gaudreau made during an interview on a Philadelphia sports radio station. 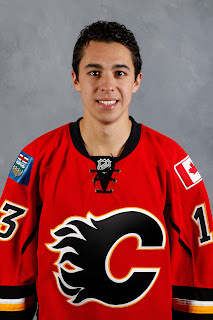 Asked if he'd like to someday play for his hometown Flyers -- he grew up in Carneys Point, New Jersey, which is about a half-hour away --- Gaudreau answered the leading question politely by saying sure, "It would be sweet". Almost every star player yearns to play in his hometown. This is far from breaking news. Let's also remember that nearly every star player will not finish his NHL career where he began. You look at the all-time greats that have come up through the Flames organization -- Jarome Iginla, Al MacInnis, Theoren Fleury, Joe Nieuwendyk, Mike Vernon, Gary Roberts, Gary Suter, Robyn Regehr, Joel Otto -- all finished their career in a different uniform. I'd suggest the odds are very good that Gaudreau will eventually find his way to the U.S. Eastern Seaboard, but with 59+ months remaining on the contract he signed less than a year ago, it's not imminent. Instead, if you want to get all frothed up about something Gaudreau said earlier this week, more relevant would be his comments to NHL.com writer Dan Rosen. In the article, he professed much excitement around the changes the team has made this summer and vowing that Calgary can do something special in the next three years. The reality is the number of players that play their whole career with one team is so very, very rare. Considering Hakan Loob returned to play in Sweden, Pekka Rautakallio went back home to play in Finland, Dave Hindmarch's career came to an abrupt end due to a pair of major knee injuries (suffered when he went crashing into the goal post in 1983, prompting the NHL to go to a more forgiving type of peg) and Claude St. Sauveur's heyday came in the WHA in the 70s, the only notable player in franchise history to start off as a Flame, never leave, and retire from hockey as a Flame was Jim Peplinski. That's it, one guy in 45 years. So while it's a romantic thought that players will play their entire careers in Calgary, it's more dream than reality. 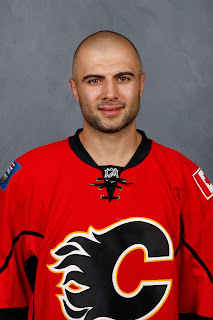 Looking at the current roster, Mark Giordano has the best shot at cracking that very exclusive list, but even with him, we'll have to wait and see. During an insightful radio visit with Sportsnet960 on Friday afternoon, GM Brad Treliving acknowledged that where a longer-term deal for Micheal Ferland broke down was the inability to agree on what his first UFA year would be worth. Instead, Ferland signed a two-year/$3.5 million deal that takes him right to unrestricted free agency. So what should the value of that first UFA year have been if the Flames had gone there? $2 million? $2.5 million? $3 million? More? Projecting out that far, Ferland's camp would have wanted a real nice bump in pay as they're looking at the trajectory he's on right now after a 15-goal season and would be assuming that continues. Calgary sure hopes he remains on that upwards path but that's a long time away still. The fiscally responsible move when you're not dealing with one of your core players is to be risk averse and go shorter term for less money, then see how things unfold. With the two-year deal, Ferland's first UFA season in 2019-20 will now reflect what he does in the next two seasons, rather than what he did last year. That's a smart way of conducting business if you're the hockey team and are dealing with a player that at this point is a restricted free agent only and under team control. Treliving emphasized that he hopes to have Ferland in the organization a long time and just because his current deal ends in his UFA season, it does not reflect a lack of desire to have him as part of the team in the long term. If all goes well, expect Calgary to be more open to a longer-term deal when the time comes and his track record is that much more established. 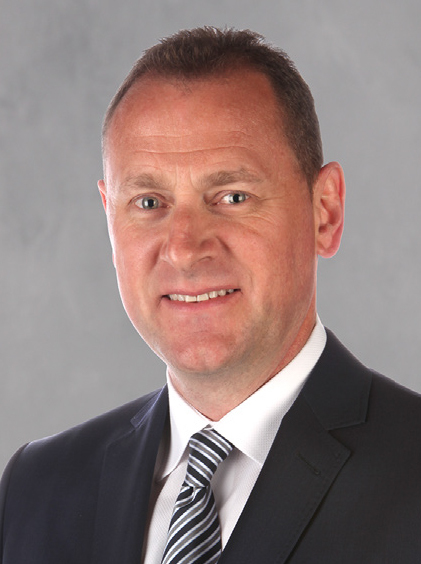 Another takeaway from Treliving's Friday visit with Rob Kerr was that talks on a contract extension for Mikael Backlund have begun and will continue in the near future. Backlund's agent is busy with other clients at the moment with the NHL in the throes of arbitration season, but once those cases and the work involved are behind him, it sounds like the two sides will be getting together. It was 10 years ago that Backlund was drafted into the organization as a first round pick, 24th overall. It's been a slow ramp-up to his NHL career but the trusted, two-way player he has become has made him a critical part of this team. I'll be the first to admit that for a while, I figured Backlund was a candidate to move on after his deal expires after 2017-18. My thinking being that he would become too expensive for the team to be able to afford as a third line centre with Sam Bennett expected to be ready by then to surely inherit that role as second line centre. But no longer is that my view and you sense that the view from the front office has evolved too. Playing the best hockey of his career and seemingly only getting better, bringing Backlund back for another four or five years is something I wouldn't hesitate to do. Should Bennett eventually fulfill his potential and with young centre Mark Jankowski coming, moving Bennett to the wing is certainly a viable option to make all the pieces fit. What shouldn't be viewed as an option is a Flames future that doesn't include No. 11 up the middle and shouldering all those difficult shutdown assignments. Backlund is very much a core piece and with the Flames on the cusp of what should be at least three years of being a legitimate Stanley Cup contender, he is the exact player the team should be looking to retain, not looking to replace. The team also announced on Friday that 2014 6th round pick Adam Ollas-Mattsson has signed a one-year AHL deal. Calgary was on the clock on Mattsson with them holding his rights for just one more season. However, it is clear that they wanted to see a bit more before committing to the Swedish defenceman with an NHL deal. 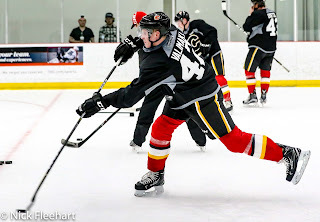 As noted in my Flames Development camp recap, Treliving loves all aspects of his game -- physical play, hockey sense -- but his skating remains the concern. With no realistic chance of playing in the NHL this season anyway, Ollas-Mattsson chose to accept Calgary's offer of an AHL-only deal (over offers to return to Sweden) and for the first time will come to Flames training camp in September, including the Young Stars rookie tournament in Penticton. While he got in nine games for Stockton at the end of last season, coming over after his Swedish season ended, this will be his first full season on this side of the Atlantic. If the Flames like what they see after seeing him play a full year on the 200 x 85, they reserve the ability to sign him to an NHL deal next spring. Garnet Hathaway and Ryan Lomberg are two examples of players in the organization today on NHL deals, who started their pro career with AHL-only deals. It was through their play that they earned that next level of commitment from the organization. In fact, with Lomberg, he went through two one-year AHL deals before eventually being offered that coveted NHL entry-level contract, which kicks in this season. On the other hand, 2016 seventh round pick Stepan Falkovsky is an example of a player, who Calgary signed to a one-year AHL deal, but then lost afterwards. The Flames wanted to sign the Belarusian to a second AHL deal, like they did with Lomberg. Instead, he spurned the organization as a free agent when he was offered an NHL deal by the Los Angeles Kings. So we'll see how it plays out with Ollas-Mattsson, who turns 21 on July 30. Should he have an impactful year in the AHL and show that he is a guy that could one day ascend to the NHL, you could very well see him sign an ELC with Calgary next spring. If they just don't see that upside, with the finite amount of NHL contracts (50) they're allowed, and with the pipeline stocked with other high-quality defenders, this could be a one and done year. Overvaluing one's own players is a real thing that happens in all sports and it happens often. This was a topic on the last podcast and we've seen it in the Flames organization many times before. Most recently there was the fear of losing Joni Ortio on waivers that paralyzed the team two years ago and led to Calgary keeping three goaltenders. You know the disaster that turned into. But fears exist for good reason as the Flames are still scarred from three years ago when they thought they could sneak Paul Byron through on waivers prior to the season (they weren't trying to get rid of him, just give themselves more flexibility), and sure enough, Montreal claimed him and the rest is history. Given that sequence of events is still one that haunts, one does wonder how much waiver-exempt status will influence final cuts at this year's training camp. In particular with the battles up front. As I see it and reflected on the projected 2017-18 roster I'm tracking on the blog, there are 11 forwards that are locks: Gaudreau, Sean Monahan, Ferland, Tkachuk, Backlund, Michael Frolik, Kris Versteeg, Bennett, Troy Brouwer, Matt Stajan and Curtis Lazar. Of the six waiver-eligible players on the bubble, 2013 first rounders Emile Poirier and Hunter Shinkaruk carry the biggest risk of being claimed by another organization based on their pedigree. Poirier is particularly interesting, knowing now the off-ice issues he's been having that has impacted his play the last two years. In July 2015, I had him as the club's No. 2 prospect behind Bennett. You'd think for guys like Spencer Foo and Mark Jankowski, who the team has flexibility on, they need to really separate themselves from the others in order to lock up a opening night spot. As an example, if Poirier and Foo are close, do they keep Poirier instead with the tie-breaker being that Foo can be sent to Stockton without being exposed to the rest of the league? Maybe. Although there is also the possibility that neither player will make it. After a solid rookie season in the AHL, I'd say Jankowski's odds of sticking are better. It's not out of the question that he could separate himself as most ready. If so, guys like Freddie Hamilton or Luke Gazdic could be placed on waivers without much fear (or concern) about losing them. Out of curiosity, I revisited the lists of restricted free agents from the last five years who were not qualified by the Flames and were cut loose. Of the 23 RFAs that did not get a contract offer and became free agents (so this excludes Byron in 2014, who was subsequently re-signed), all the players cast aside by Calgary have only amassed nine goals in 176 combined NHL games since departing the organization. Looking down the list, I don't see a single regret. Even the three players not qualified this past June have not yet found work, which is.generally a sign that you didn't get the decision wrong. It's a bit like the over-valuing of waiver-eligible prospects. As a fan, you hate to see guys go that you have followed closely, but many of the players won't amount to much anyway and the fear of what they will go on to do elsewhere eventually subsides. Here is the full list of RFAs that 'got away' in the last five years, but only because Calgary opened the exit door for them and pushed them on the way out. Also listed is their NHL totals accumulated since. This isn't to suggest that all RFAs retained eventually turn into anything of value but in recent years, there is no remorse with those that the club has moved on from. 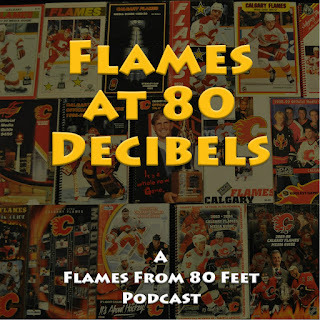 Flames development has come and gone for another year and to put the final wraps on that as well as take inventory of Calgary's prospect cupboard, Sportsnet960's Rob Kerr joined me as my guest. Looking for a little hockey talk to get you through the summer? Why settle for a little when you can have a lot. What it's like for beer league players to play alongside old NHL players. Rock Me I'm a Dentist and Race a Little Elf on Good Rockin' tonight! On the first round pick's return, which was the feel-good story of the camp. It is possible for Poirier to break camp with the team? Brian McGrattan's involvement and what his future might hold. Spencer Foo, what he is and if/when he'll arrive. 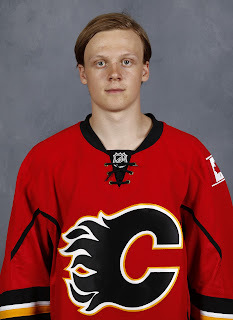 The prospect that might hold the keys to Sam Bennett's future. How far away is Adam Fox and how good could he be? Mistake prone yet young and talented. What to make of Oliver Kylington. Anecdotes and thoughts on the many others in the blue-line queue. Tyler Parsons' rapid rise and why he's so coveted. Where does everyone play in 2017-18? Answering questions submitted via this Tweet or this Facebook post. If you're travelling, download it to your iPod and listen on the flight. Or take it with you while you go and walk the dogs. I have heard from people who have warehouse jobs and listen to them at work. There are endless possibilities. Have you enjoyed the podcasts so far? Please stop by iTunes and rate the podcast as I understand this will make it easier to find for newcomers. So far, there's only been 10 reviews. I'd love to see that number doubled. For Micheal Ferland, game 1 in his breakout offensively came at a critical juncture last season. Two days after the Flames had been publicly ripped by coach Glen Gulutzan after a lethargic 5-1 loss in Montreal. One day after the team's infamous train trip to Ottawa that featured some beers and some honesty. One day before the NHL's all-star break. Desperately seeking some kind of spark, Ferland delivered halfway through the second period in a game at the Canadian Tire Centre. Getting his own rebound, he fired a goal past Mike Condon to end a personal 15-game scoring drought and open the scoring in what would end up being a pivotal 3-2 win over the Senators. It was just the lift Calgary needed. Starting that evening, the Flames went on an incredible 15-2-1 tear to get back into a playoff spot. They wouldn't let it slip away. Front and center in that red-hot seven-week run was Ferland. In 18 games, he rattled home a team-high nine goals. They all didn't come while whirling around on the top unit either. His promotion onto the Gaudreau-Monahan line came didn't come until halfway through that stretch. He was doing it without them. Then he kept it going with them. It really is quite the contrast if you compare his career production up until that point with what he's done since. Going into that game in Ottawa, Ferland had played 144 career NHL games. He had scored 11 goals. Over the remainder of the regular season, he scored 10 goals in 29 games. Even more impressively, all 10 came at even-strength. 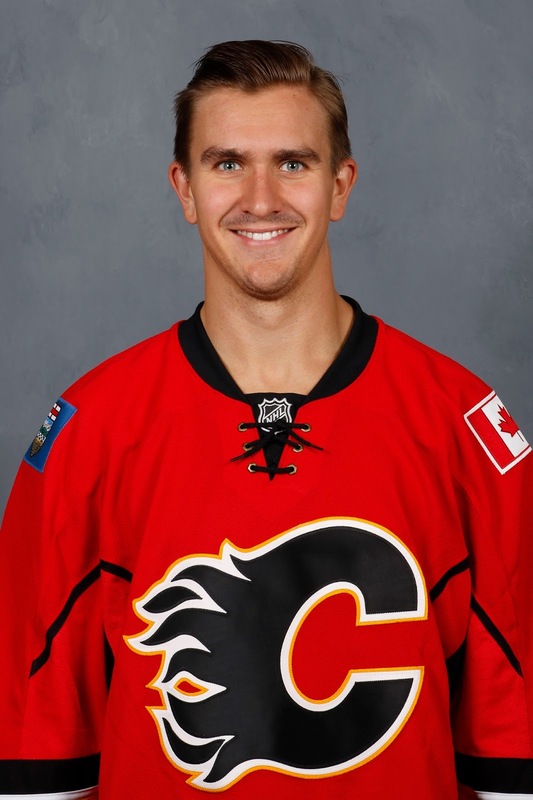 That was the best on the team, two better than Sean Monahan, three more than Mikael Backlund, four better than Johnny Gaudreau. In fact, over the final two-and-a-half months of the regular season, those 10 even-strength goals tied Ferland for 24th in the league. There weren’t a lot of cheapies in there either. This guy can wire a hockey puck into the top corner like the best of them. As we try to put his electric finish to 2016-17 in context, we also have to keep in mind that he averaged less than 13 minutes per night in ice time over that period. Heck, he played about as much on the Flames power play last season as Hakan Loob. As part of the NHL’s advanced stats offering, there is a statistic called G/60, which is your total goals per 60 minutes of ice time. Now you’re really talking business with Ferland given his lethal production came while not playing a ton. That’s some pretty good company. Heck, if I was to drill down even further and look at even-strength goals only, he'd surely be in the top 10. 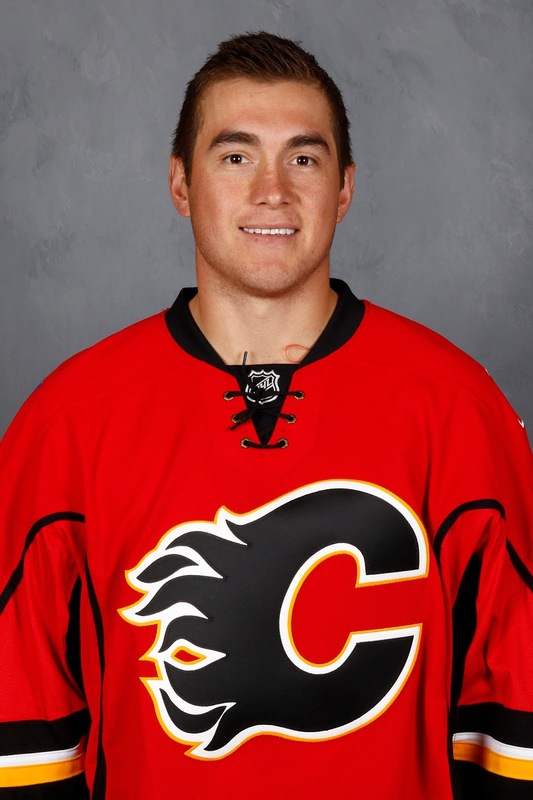 Ferland’s hockey career going back to youth hockey has been an interesting case. As the story goes, he got started in the sport late, but was a natural and climbed fast. In his draft year in 2010, he was the 188th ranked North American skater by NHL Central Scouting in the mid-term ranking. Only 210 players are drafted. Plus, you still have North American goalies as well as European skaters and goalies to factor in. 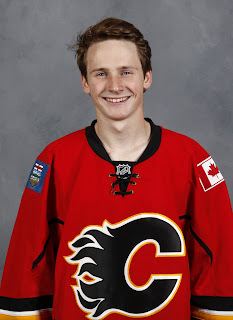 He eventually climbed to 144th on the North American skater list by the final rankings and was selected 133rd by Calgary. It was the year the Flames didn’t have a first or second round pick and used their two third-round picks on Max Reinhart and Joey Leach. The fourth round didn’t net them much either in John Ramage and Bill Arnold. But the tough-as-nails kid from Swan River, Manitoba, that general manager Darryl Sutter selected in round 5. Who knew that this physical left winger from the Brandon Wheat Kings, coming off a rookie season in the WHL in which he scored just nine goals in 61 games, would turn out to be the valedictorian from that Calgary draft class. In his next couple seasons, his production really took off. 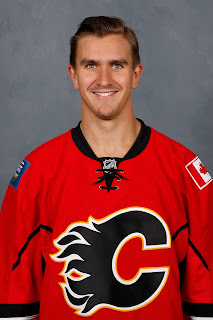 Often playing on a line with Ottawa Senator right winger Mark Stone, younger brother of Flames defenceman Michael Stone, Ferland’s totals jumped to 23 goals in 56 games in his second season. In his third year, he sniped 47 goals in 68 games then lit the lamp there more times in the playoffs to give him an even 50. But the jump to pro wasn’t smooth. Out of shape and with a drinking problem he didn't yet realize he had, he played 10 games split between the AHL and ECHL in 2012-13, before being returned to junior for his overage season -- one in which he ended up traded from Brandon to Saskatoon. The next year went much better, especially after he got going. Pointless in his first 11 games, Ferland rattled off 18 points (6 goals, 12 assists) in the next 14 games and was on the cusp of being a Flames call-up when he hurt his knee in a collision in practice. The result was season-ending surgery. But the season concluded with a different kind of rehab. While rehabbing his knee in Calgary, eventually it was his elbow, as in his drinking elbow, that became the point of focus. 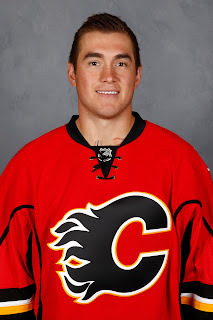 In late March, after a meeting with coach Bob Hartley, Ferland was whisked away to the NHL’s treatment facility in Malibu, California. It’s the same spot where Emile Poirier just spent two months. 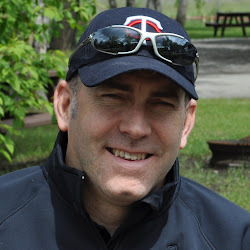 Sober ever since, it's been a great success story for Ferland, the person. On Thursday, signing a two-year/$3.5 million contract, that's a success story for Ferland, the hockey player. His $1.75 million annual salary for the next two seasons is more than double what he made the last two seasons. His take-home pay will net out to even more given his sober lifestyle – 39-plus months and counting. Know that a lot of that new found wealth will go to much better causes being the women in his life: Mother Diane, who raised him on her own, his significant other Kayleigh, and the couple's 15-month old daughter Brynlee. The two-year deal takes Ferland right to unrestricted free agency where Ferland will be in for a substantial raise should he continue on the same trajectory he’s on. While that's bad news for Calgary if they hope to re-sign him, that would also be a real good thing for the Flames because it will have meant he strung together two excellent seasons. And that would be a wonderful thing for Ferland the person, as it means his hockey career has continued to blossom. Interesting stuff today from Brad Treliving on Micheal Ferland: “The next step (for Ferland) is just that — taking the next step." "We’ve seen the skillset that Micheal Ferland has. It can be very special and unique … he moved around the lineup in the past couple years." "For me, the goal for him is to establish himself at that high level on a consistent basis. Because we’ve seen it." "I've got a great deal of respect for Micheal. I love the kid. He's come so far. But you also want to push for more...He's capable of it." Now is his shooting percentage due to regress from the 14.2 percent last year? Probably. But one way you can mitigate the impact of that is to shoot the puck more often and if he stays on the No. 1 line, he'll get those opportunities. Even when he isn’t scoring, we all know Ferland can have an impact on games. We all fondly remember the Flames-Canucks playoff series three years ago. Those 40 hits in six games. The non-stop war on and off the ice with Kevin Bieksa and others. Add in the offensive side that has really come around – the deceptive speed, heavy shot, smooth hands and high IQ, and now you really have something. As a lifetime writer, I’m always a sucker for a good story. But even more so, I love a great ending. Considering where he was at with his hockey career five years ago, to where he is today, it doesn’t get much better. So rather than saying it's a new chapter coming up, let’s call 2017-18 the first chapter in Micheal Ferland - The Sequel. Here's hoping it turns out as good as the original as that one is a best-seller.